Xiaomi introduced navigation gestures for its Redmi 5 Plus smartphone with a new update. It is though not clear at this point whether the update is a beta or a stable update. The Chinese company has already introduced this feature dubbed “Smart Gestures” to the Mi Mix 2 users. The gestures are pretty easy to understand. To access the Home screen, users need to swipe up from the bottom, and the phone will take you to the home screen. Furthermore, swiping up from the bottom and pausing will activate the multitasking and you access the recently used apps. Also, if you swipe from the left or right side towards the center, you will be back to the previous screen. These are the same gestures Apple introduced with the iPhone X, and our Android manufacturers just follows the leader. The Smart Gesture feature will bring onboard full-screen navigation gestures and aims to completely replace navigation buttons or serve as an alternative form of navigation. This feature will enable the smartphone to have more space for displays as there will be no need for the home button and hardware button at the front of the screen. Xiaomi is said to be pushing this feature to the present crop of full-screen smartphone models including the Mi Mix, Mi Mix 2, and the just-launched Redmi 5 and Redmi 5 Plus running MIUI 9 OS. There are chances that the navigation gestures will ship with the upcoming Xiaomi Mi 7 flagship and the rumoured Mi MIX 2S. Meanwhile, Xiaomi is teasing a new smartphone launch in the Indian market on February 14. As per the source code on mi.com, the smartphone is indeed the Redmi Note 5. The company sent out media invites featuring a large image of number 5 teasing the Redmi Note 5 launch. At the same event, Xiaomi might launch the Redmi 5 and Redmi 5 Plus smartphones in the market too. The Redmi 5 sports a 5.7-inch HD+ (720×1440 pixels) display with 18:9 aspect ratio and is powered by a Qualcomm Snapdragon 450 SoC coupled with three RAM configurations – 2GB, 3GB, and 4GB RAM – and two inbuilt memory options – 16GB and 32GB. The Redmi 5 Plus comes with a 5.99-inch full-HD+ (1080×1920 pixels) 18:9 display is powered by a Qualcomm Snapdragon 625 SoC coupled with two RAM variants – 3GB and 4GB – along with two internal storage options – 32GB and 64GB. Both devices come with similar specifications in terms of camera, sensors, and connectivity options. There’s 12MP rear camera with f/2.2 aperture and PDAF while there is a 5MP camera with soft-light flash on the front. Both the devices come with a fingerprint scanner embedded on the rear side. The connectivity options include Wi-Fi, Bluetooth, GPS, Micro-USB, MicroSD, 3.5mm audio jack, and 4G VoLTE among others. 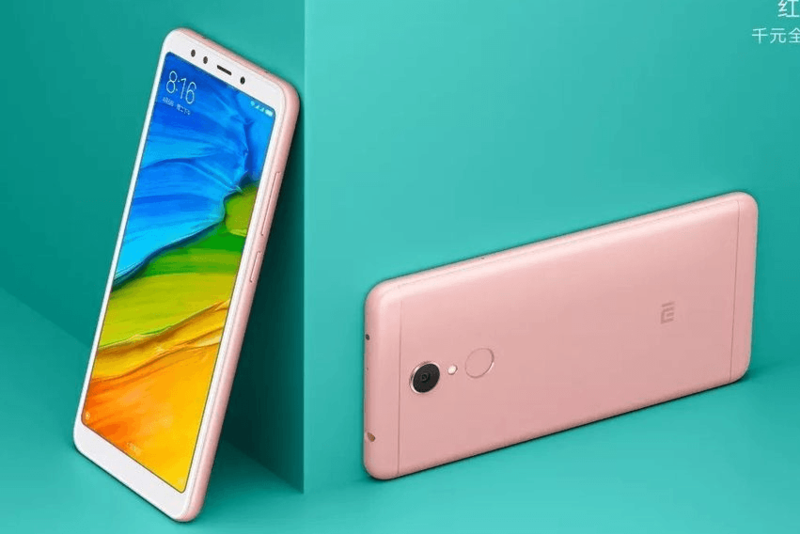 As for the battery, the Redmi 5 packs a 3300mAh battery while the Redmi 5 Plus houses a 4000mAh battery under the hood. Honor 7X vs Honor 9i vs Honor 9 Lite: Which One Should You Pick?